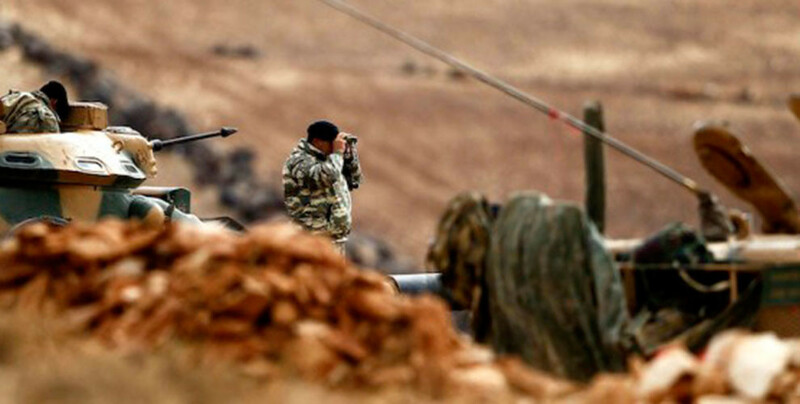 Afrin Liberation Forces continue inflicting blows on the occupation forces in Rojava. Following the visit, the delegation and the camp management held a meeting. The situation of the people staying at the camp was discussed. Kongreya Star held a lecture in Tel Barak about Kurdish people's leader Abdullah Ocalan, to mark his birthday. Reports of clashes in the east of al-Bab city. Northern and Eastern Syria Social Services and Assistance Office held a meeting in Ayn Isa to discuss the situation of the refugees. Afrin Liberation Forces continue inflicting blows on the occupation forces in Afrin. The Northern Syrian Canton of Afrin remains under the occupation of the Turkish army and allied mercenaries. In Afrin ten teachers have been kidnapped by the occupation forces. Their whereabouts are unknown. Repression against civilians continues in occupied Afrin. Wrath of the Olive Operation Room announced that 6 gang members were killed and 4 others were wounded in an action against a Furqat Al Hamzat check point in Afrin. Afrin Liberation Forces carried out an assassination action in Azaz on March 26. One gang member was killed in the action. The Turkish state and their allied gangs confiscated the last Armenian who was still in Afrin Harut Kivork’s home and turned it into a mosque. 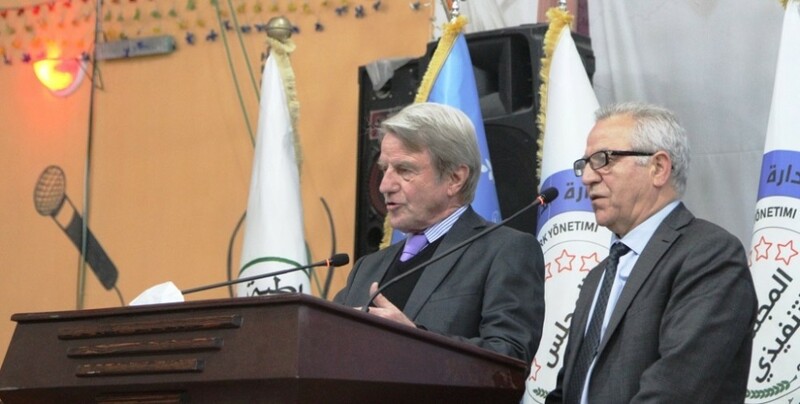 The victory of Syrian Democratic Forces (SDF) against ISIS gangs is being celebrated in Qamishlo in a ceremony thousands attended. The Afrin Democratic Student Movement called on the international community to act to ensure the liberation of Afrin and the end of Turkish occupation. The people of Manbij organised a march against the threats of Turkish president Erdoğan. Afrin Liberation Forces (HRE) carried out an action against a gang leader who was the “military discipline officer” for the gangs allied with the invading Turkish state. Farewell to MLKP Central Committee member and Rojava Representative Bayram Namaz (Baran Serhat) in Serekaniye. 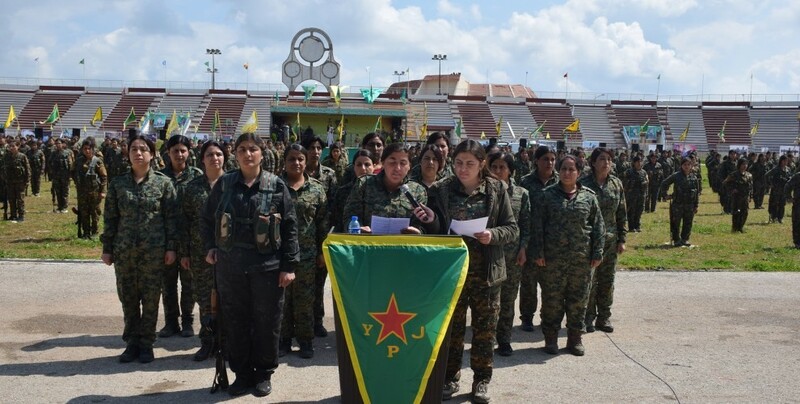 Women’s Defense Units (YPJ) announced that they will continue to be a guaranteer force for the gains of the self government and that they will liberate Afrin as well, during a celebration of the victory against ISIS gangs.